Qualcomm Quick Charge is a technology that lets you charge you phone or tablet at a much faster rate that regular charging. While there hasn’t been much improvement in battery technology, companies like Qualcomm have been working hard to get around this problem by improving the charging times. Quick Charge has been instrumental in bringing about an important change in the way we charge our phones these days. However, it can get a little confusing. While many smartphones launched these days come with Quick Charge support, it is not necessarily the latest version of this technology. There is the original Quick Charge 1.0, then Quick Charge 2.0. 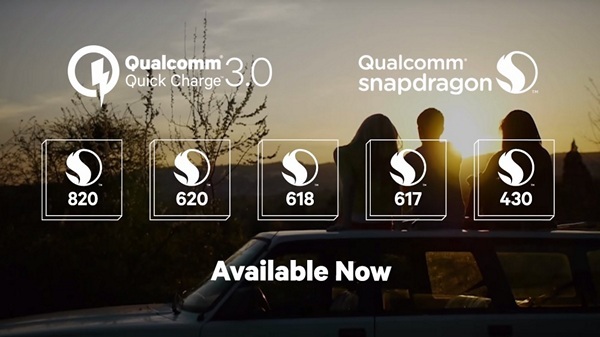 Most recently, Qualcomm announced the availability of Quick Charge 3.0 along with the launch of Snapdragon 820. To make things a little more confusing, some companies do not license Quick Charge technology, so even though the processor may support it, the phone will not come with Quick Charging. Before we see which phones come with Quick Charge support, you may want to understand what exactly is Quick Charge. By now, you must have understood that Quick Charge charges your devices faster than usual. However, how has Qualcomm (and its competitors like MediaTek) implemented it? It’s a good question and you may want to know if this is safe for your phone’s battery as well. Smartphones with Quick Charge support come with an algorithm called Intelligent Negotiation for Optimum Voltage (INOV). It may seem a little complication, but in simple terms – your phone will determine the amount of power level it needs when it is being charged. Due to this, the optimum power transfer rate is always known. The charger that comes with your Quick Charge capable phone supplies power at a constant rate, but it depends on your phone how much voltage level it needs to intake. Think of it like this – you are constantly provided with a feed of information. It may contain a lot of complicated, unrequired information too. But since you know how much and which information you need, you take only that information to complete your task. Quick Charge works just like this. The charger is the power provider and the smartphone is the smart terminal. While the charger provides a wide range of voltage options – from 3.6V to 20V – your phone chooses a voltage level that is the most optimum. How Is Quick Charge 3.0 Different From Quick Charge 2.0? The main different between Quick Charge 3.0 and Quick Charge 2.0 is that 3.0 comes with support for a much higher charging voltage. A 66% increase in voltage in Quick Charge 3.0 has helped Qualcomm increase the charging speed drastically, compared to Quick Charge 2.0. Quick Charge 3.0 supports voltages ranging from 3.2V to 20V. This is dynamic, too, so your phone can change the amount of power it needs. Compare this to Quick Charge 2.0, where three voltages – 5V, 9V and 12V were supported. Your phone with Quick Charge 2.0 has these three options only, so the scope for optimum power level is reduced to an extent. How do I know if my device has Qualcomm Quick Charge Support? So, how do you determine if your phone has support for Quick Charge? It’s rather easy and we’re going to help with it. Let us know what do you think about quick charge technology, we will keep adding phones in the above devices which supports quick charge.